Gujarat Government on 24 November reached out to the Patidar Anamat Andolan Samiti (PAAS) which led last year's Patel quota agitation by inviting its leader Hardik Patel for talks, to which the young leader responded positively. Hardik Patel said an eleven-member team of PAAS will meet the government, but stressed that the organisation will stick to its main demand of OBC quota and won't accept any "lollipop". Assembly elections are due in Gujarat in December 2017. Also, Hardik Patel, directed by the High Court to live outside Gujarat for six months as a bail condition in sedition case, is slated to return to the state in January. Deputy Chief Minister Nitin Patel on Thursday said that Chief Minister Vijay Rupani wanted resolution of quota issue. "For peace and unity of the state, so that every member of the state could participate in its journey of development, support of all communities is required. With this aim, the Government invites Patidar leaders for talks," he said. The Government had in the past opened dialogue with PAAS and even succeeded in resolving the matter with Thakor community (which recently agitated demanding stringent prohibition laws and government assured amendment to the laws in the Budget session), Nitin Patel said. "Government wants an amicable resolution at the earliest, and hopes that PAAS members will reciprocate and its leader Hardik Patel and his friends will accept the invitation," he said. 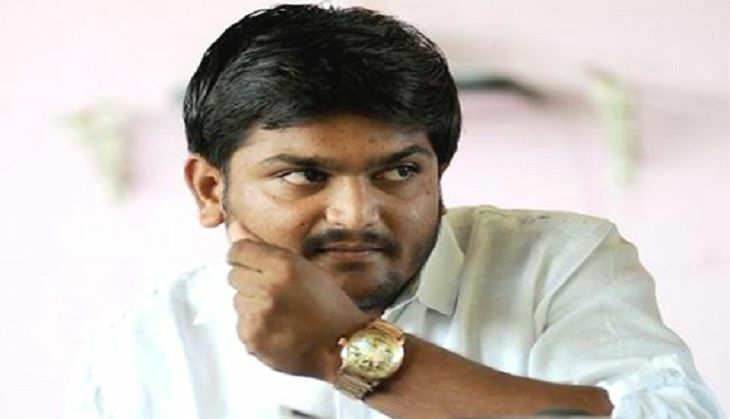 Subsequently, Hardik Patel issued a statement saying he would hold a meeting with PAAS conveners in the next two days, and an eleven-member team will meet the Government for talks. "The primary objective of PAAS is the community gets the benefit of reservation. Apart from that, we want discussion on police atrocities (during last year's agitation)," he said. "If there is an attempt to break the unity of community or offer a lollipop (trivial concession), there will be another round of agitation in January," said Hardik Patel, currently living in Udaipur. PAAS had recently announced it would relaunch the agitation next month.